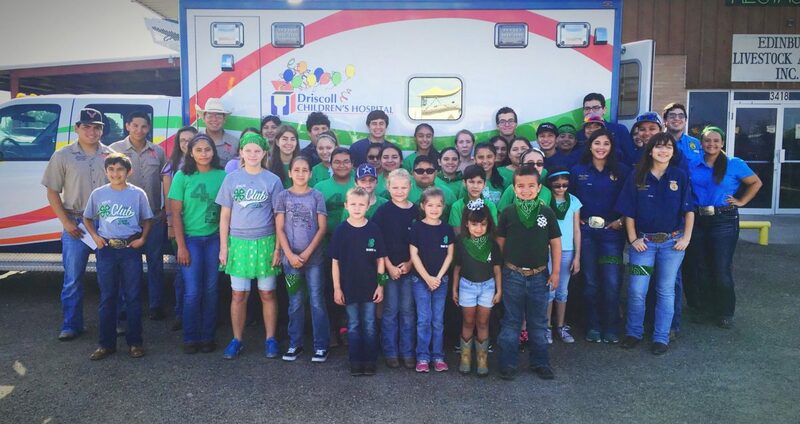 4-H and FFA club participants stand beside the ambulance at the Cattlemen's Roundup at the Edinburg Livestock Auction facility. EDINBURG — Hidalgo County 4-H clubs and Future Farmers of America chapters with the Texas A&M AgriLife Extension Service gathered Saturday morning at the Edinburg Livestock Auction for the 34th annual Cattlemen’s RoundUp to raise funds for Driscoll Children’s Hospital. 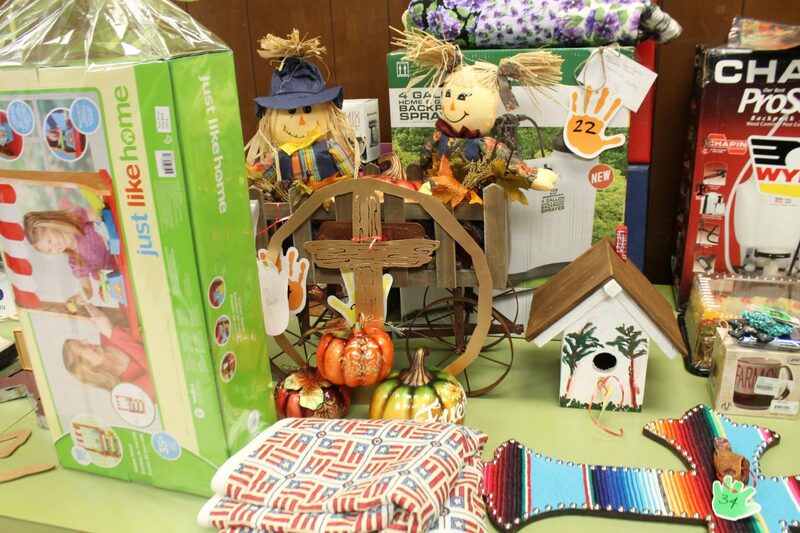 The approximately 100 attendees had a chance to select from homemade baked goods, handmade items, and farm and ranch items with other items up for bid. The money raised is donated to the Driscoll Hospitals of the Rio Grande Valley. 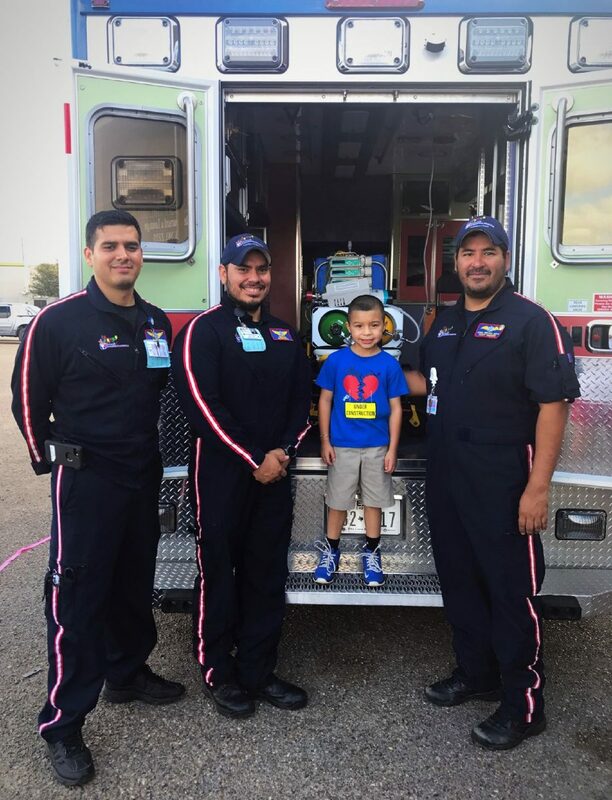 Driscoll Children’s Hospital has the fundraisers throughout the 31-county service areas of Texas and Edinburg was the final stop for the yearly event. Nelda Barrera, Texas Department of Agriculture field representative, has served for approximately 10 years as a committee chair for the Cattleman’s RoundUp. 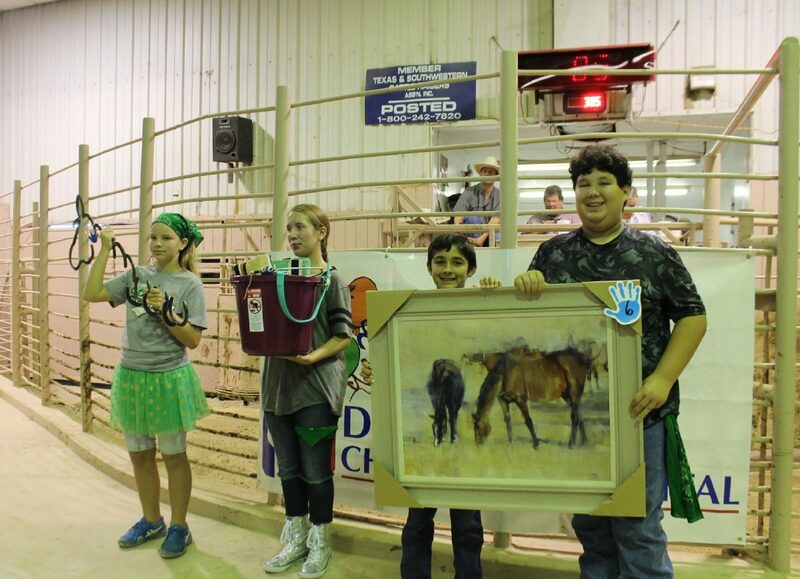 Students from the local 4-H clubs and FFA chapter showcase auction items at the Cattlemen's Roundup at the Edinburg Livestock Auction facility. Driscoll Hospital First Responders pose for a photo with Riley Salinas at the Cattlemen's Roundup at the Edinburg Livestock Auction facility. Auction items up for bid during the Cattlemen's Roundup at the Edinburg Livestock Auction facility. Amanda Hernandez and Riley Salinas stand against the Driscoll Hospital Banner at the Cattlemen's Roundup at the Edinburg Livestock Auction facility. Driscoll Children’s Hospital is close to Barrera’s heart as her son was treated at the hospital and now she gives back in every way possible. 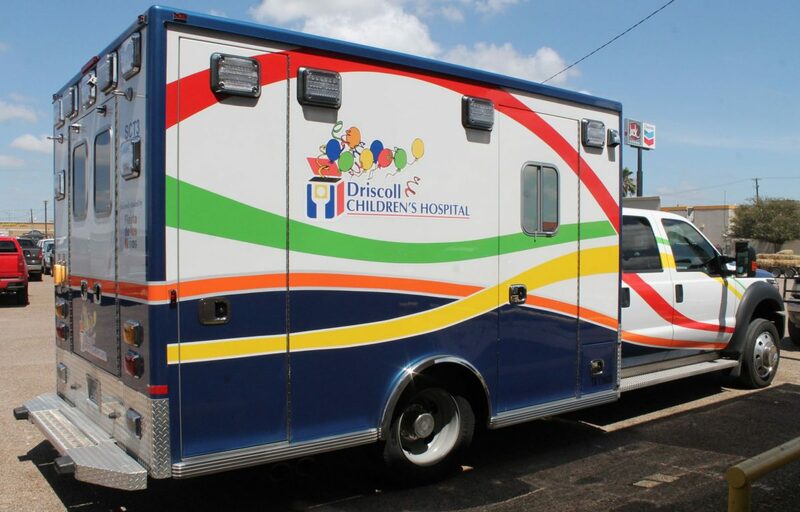 LaHuan Guthrie, development director, Rio Grande Valley Driscoll Children’s Hospital, said last year’s fundraiser made it possible to a purchase a special ambulance. “We’re just so grateful for the support, and 100 percent of the monies raised stay in our community. It all stays local to help kids in need,” Guthrie said. The ambulance is used as a transport from the Driscoll Hospital clinics in the Valley to the main hospital in Corpus Christi. The funds raised this year will go toward the building of the new, two-story 70,000-square-foot North Pavilion that will create a new Outpatient Surgery Center and modernize the Pediatric Intensive Care Unit at Driscoll Children’s Hospital. 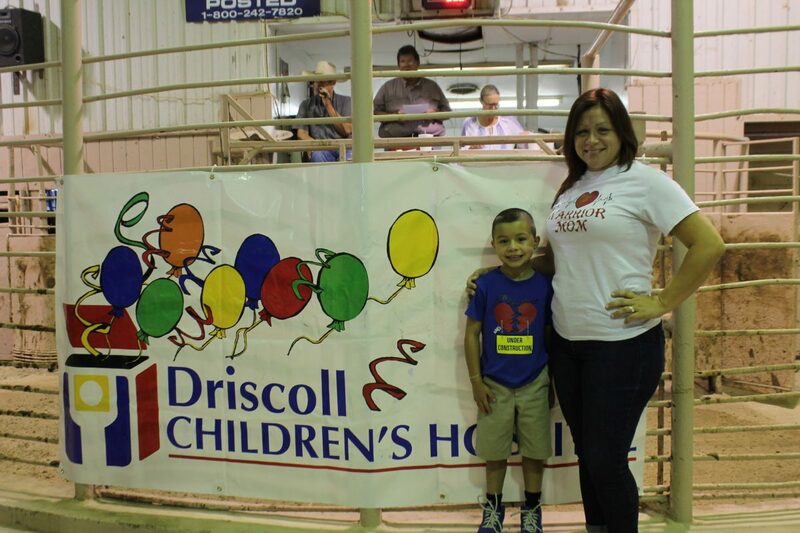 San Juan resident Amanda Hernandez, 31, has first-hand knowledge of what Driscoll Children’s Hospital is all about from when her son Riley Salinas, 6, was born with a heart condition. A few days after being born, the local hospital flew him to Driscoll Children’s Hospital in Corpus Christi where he stayed for 26 days. “They made it to Driscoll and once we got there, he was surrounded by 20 to 30 doctors and nurses and still there was that possibility that he wouldn’t make it,” Hernandez said. Some days Salinas was fine while others were worse. With his surgeries complete now, Hernandez’s son is like a normal child, always active. “We give thanks. God’s the one that’s healed him and we’re very thankful that they went above and beyond. When they (Driscoll Hospital) do anything, we’re there; that’s our way of giving, thanks.